Our internship supervisors have been meeting to create a more rational explanation for Unit Plan expectations. 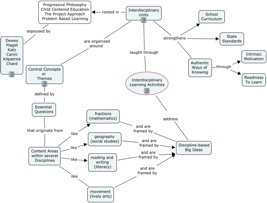 Of course our schema for the abstractions of essential questions, big ideas, topics, themes, disciplines, assessments, grade level equivalents, etc. (ad nauseum?) crashed together in a delightfully challenging mix. Here’s one big picture I offer through the good graces of CMAPing. Clicking on the smaller image will get you a larger jpeg! 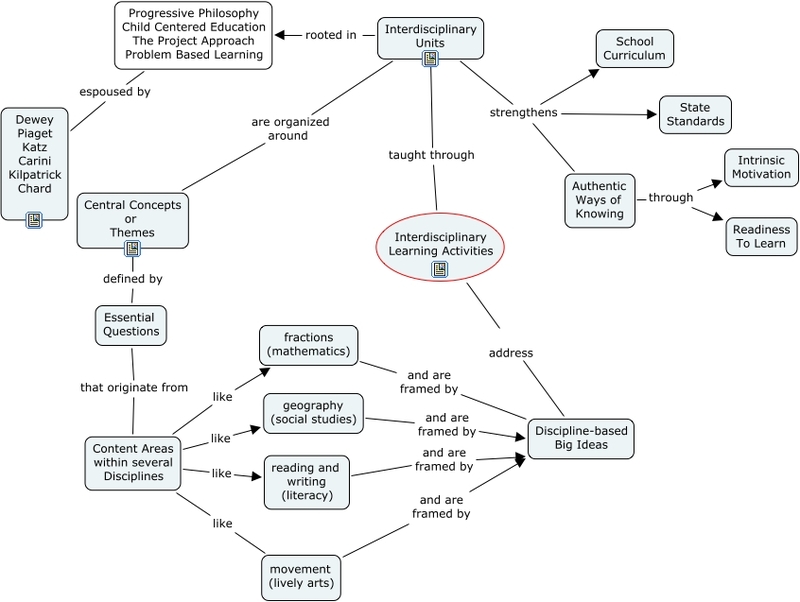 You can also access through my Interdisciplinary Unit weblink.